The King of the Cowboys has decided to step down from full-time rodeoing. The PRCA announced some huge news this morning, when it was revealed that Trevor Brazile, the King of the Cowboys, has decided to step down from full-time rodeoing. Read PRCA’s official press release regarding Brazile’s major decision. LAS VEGAS – An unparalleled era of rodeo excellence will end at this year’s Wrangler National Finals Rodeo, as King of the Cowboys Trevor Brazile closes the book on full-time professional rodeo competition. Though we have not seen the last of the winningest cowboy of all time, the 23-time Professional Rodeo Cowboys Association world champion will no longer compete at an NFR-qualifying pace. Brazile’s rodeo schedule will be greatly reduced in 2019. With some of the new, big-money opportunities available in rodeo today, anything is mathematically possible. But the NFR will no longer be his focus. Motivating this major move away from full-time competition is Brazile’s “why”— his family – wife, Shada; son, Treston, 11; and daughters, Style, 8, and Swayzi, 3. Having qualified for both the NFR and National Finals Steer Roping in 2018, Brazile is shifting gears while still ranking among the best in the game and under his own terms. He will continue to enter the tie-down roping, steer roping and team roping – with seven-time Champ of the World and ProRodeo Hall of Famer Clay O’Brien Cooper – in 2019. But at this time, Brazile has committed to a limited schedule moving forward. Brazile’s career highlights are countless, as he’s rewritten rodeo’s record books since his rookie year in 1996. He has an unmatched 52 National Finals qualifications to his credit, and has taken an unrivaled 68 National Finals go-round victory laps. 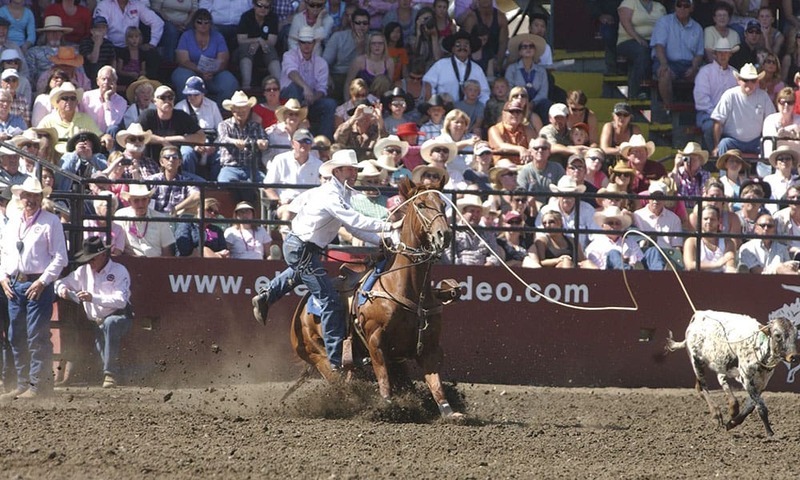 Brazile has won NFR average titles in the team roping – with Patrick Smith in 2008 – and tie-down roping in 2010. He holds the record for the most NFR all-around titles with 10, and with 13 world all-around crowns has nearly double that of Ty Murray’s seven, which is second all-time. Brazile joins ProRodeo Hall of Famers Everett Bowman and Bill Linderman as one of only three cowboys to win world titles in four disciplines. In addition to the 13 gold all-around buckles, Brazile has won six world steer roping championships, three world tie-down roping crowns and the 2010 world team roping title with Patrick Smith. Only Brazile and ProRodeo Hall of Famer Dale Smith have qualified for the National Finals in four events – in Trevor’s case, the tie-down roping, steer roping, and as both a team roping header and heeler. Closing in on $6.5 million in PRCA career earnings, Brazile in 2015 set the single-season earnings record by winning $518,011. His second-best season came in 2010, when he won $507,921. Of the 20 most lucrative years by professional rodeo cowboys, 10 of them belong to Brazile. The single-year National Finals earnings record of $298,159 set by Brazile in 2015 also still stands. The two-time Triple Crown winner – Brazile won three world championships in 2007 and 2010 – is without question the most accomplished rodeo cowboy of all time. And yet, he’s always remained a humble champion and the ultimate ambassador for the sport of rodeo.